6" square image on 8" square illustration board. 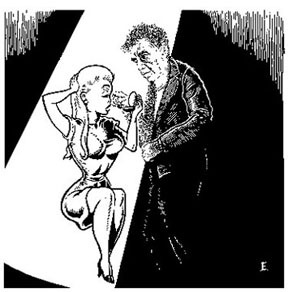 Illustration for film review in New York Press. This 72dpi scan doesn't do much to catch the detail, unfortunately.